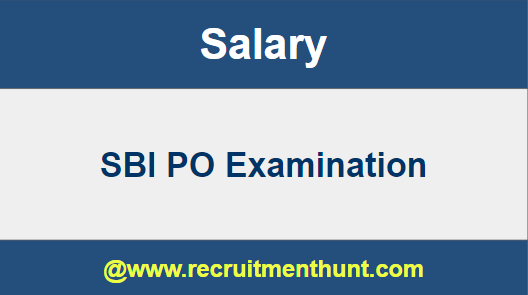 SBI PO 2019 Salary: The State Bank Of India Probationary Officer is one of the Prestigious Job which has more demand in India. State Bank of India SBI provides a wide range of products and services to individuals, commercial enterprises, large corp-orates, public bodies and institutional customers through its various branches and outlets, subsidiaries and associate companies. SBI Probationary Officer is an very competitive examination form recent years. SBI Bank PO Salary will be decent and it has many other benefits as well. SBI PO is most sought after job after RBI. Well definitely, SBI PO 2019 is going to change the life of some aspirants. In terms of Social Status and Financial Status, SBI is going to give you an identity that anyone would like to have. SBI manager Salary will be good compared to other nationalized banks. Basic pay for Bank Manager Salary in India is decent compared to other jobs, Here they will get other benefits etc. SBI PO Salary will be very decent and SBI is known for its perks and benefits and I am sure it is something that everyone of you would like to have. Aspirants who are looking for SBI PO Salary Details and for SBI PO Job Opportunities, they can also know about SBI Bank Jobs under this section and also for more SBI Job related queries you can also do follow or subscribe to our website so that you will receive all the updates done by our end. Above all details are regarding SBI PO and candidates are advised to go through the details. SBI PO Job Location, Application Mode and other details are given. Similarly, we are providing SBI PO Previous Year Question Papers and SBI PO Syllabus. Hence, it is advised to the candidates to go through the complete page. Also, as you scroll down you will get SBI PO Syllabus. The basic salary of SBI PO mentioned in Official Notification is Rs. 23700. But the SBI Probationary Officer gets fouradvance increments of Rs 980 which will be added to the basic. Now the basic that we get in total is Rs. 27620. Income Tax = As per govt norms. The total SBI PO Salary per year will be a minimum of Rs 8.20 lakhs and maximum of Rs 13.08 lakhs (depending on the place of your posting and other factors). Furniture Allowance Rs 1,20,000 for the purchase of furniture. SBI Probationary Officers will also gets other benefits apart from the Salary and Allowances which are tabulated below. Aspirants who are able to crack SBI PO Recruitment Process, you serve a 2 year Probation Period during which the major roles and responsibilities are explained in detail. You should understand that a Probationary Officer moves up the career ladder to hold many senior positions provided he/ she consistently perform well.There are some roles and responsibilities of Probationary Officers they are as follows. 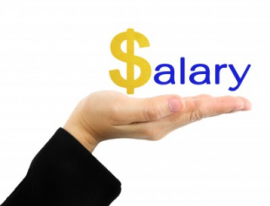 The SBI PO Employees Salary will be incremented based on the promotions. Likewise, SBI probationary Officer will be promoted to next level as Deputy Manager and after some 2 years based on the achievement he/she will be promoted as Chief manager and it continue so on untill General Manager(GM). Finally candidates can check SBI Probationary Officer Salary and pay scale here. So, applicants can make their preparation easier by following SBI PO Syllabus. Download SBI PO Exam Pattern along with SBI PO Previous Year Papers through this article. Also, for more job updates subscribe and stay tuned to our website RecruitmentHunt.